Email me at tim@terroirwinetours.com with your dates, a general idea of where you’d like to go, where you are staying and how I might make your visit special. A winery or two you are interested in seeing is useful to helping build our day. If you already have an itinerary all the better, as I will make sure we make it happen . I’d like to hear from you 2-3 weeks or more in advance of your trip, but I do understand the nature of travel and I am sometimes available at the last minute. My tour rate is $60/hr, there are no additional charges within Napa or Sonoma Valley and I leave gratuity to your discretion (though it is appreciated as a recognition of good service). 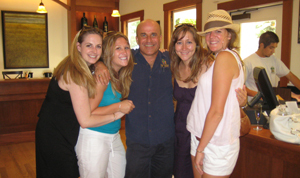 My pricing is meant to provide great value in addition to stellar service on your visit and tour of Napa Valley. You can always call me too at 707-363-7373. 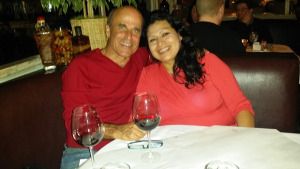 I respond quickly because it is just me here at Napa Terroir Wine Tours with the support of my lovely wife Griselda. We look forward to welcoming you to the Valley! Cheers!